As probably the oldest independent security risk management practice in Australia (over 30 years), our subject matter experts keep providing the best outcomes for our clients. We are committed to providing evidence-based assessments and innovative solutions. Integrating and harmonizing security risk management, emergency risk management, business continuity planning and crisis planning. Assisting with migration to, and compliance with Australian and International Standards for example, AS/NZS ISO 31000:2018 – Risk Management Guidelines and ISO:28000 – Security Management Systems for Supply Chain Security. Independent subject matter experts on Board risk committees, crisis teams, Emergency Planning Committees (EPC) and WHS committees. Executive ‘blue sky’ briefings on trends in security and related technologies. Developing security master plans for new property developments and to support business planning. Auditing security compliance in regulated sectors for example, ships and ports, CTPAT, dams, hospitals and licensed premises. Assessing policies, procedures, guidelines and security awareness. Auditing (inspection and testing) security and associated systems to identify physical and cyber vulnerabilities. Our data collection methodology and reports are complete, factual and provide evidence of genuine due diligence by clients. Assessing security contractor compliance and performance (governance, technical, operational). Assessing security compliance by supply chain partners. Assessing security systems (compliance and integrity), including at commissioning and/or before the end of Defects Liability Period of new systems. Designing and specifying innovative, convergent technical solutions, typically video surveillance, physical access control systems and emergency mass notification systems being central to our brief. Our designs always seek future-proofing investment and maximising value for clients. Remote assessment of IP systems. Re-commissioning IP video surveillance and physical access control systems to optimise performance. Most systems are not commissioned properly. Assessing life-cycle status of systems. Providing strategic upgrade/replacement options with cost estimates. Assessing proposals and claims for variations from security companies. Post-incident forensic assessment of security systems. Delivery of security and crime prevention workshops including armed robbery, client aggression, mailroom security, traveling overseas safely and terrorism scenarios. Our highly experienced security licensed consultants are qualified trainers and WHS qualified. Mentoring security managers and chief wardens to become risk management champions. Assessing business continuity and crisis plans. Exercising organisational capabilities in responding to crisis. We underscore our facilitation with ISO 22398. Our team’s experience covers defence, industry, commercial, airlines, universities and overseas scenarios. Navigating Australian Government Guidelines relating to terrorism relating to critical infrastructure and crowded places. Assisting clients to best manage the terrorist threat environment including perceptions of safety. Conducting physical security risk and vulnerability assessments of properties and precincts. Providing software driven mass emergency notification system solutions. Developing hostile vehicle mitigation, improvised explosive device (IED) and other specific threat mitigation strategies. Realigning protective security resources and developing security alert procedures. Providing serious security incident training for example armed active offender, mail threat, suspect surveillance, drone threat and armed robbery. Assessing security and emergency risk management policies, procedures and training (including gap analysis with AS3745:2010 and latest amendment). Assessing security contractor and emergency command organization (ECO) capabilities and readiness for serious security incidents (SSI) e.g. terrorism. Developing emergency management capabilities during after-hour periods. Developing tender specifications for security (personnel) services for different contexts including for crowded places, commercial properties and government facilities. Providing contract security managers, critical incident managers and project managers. 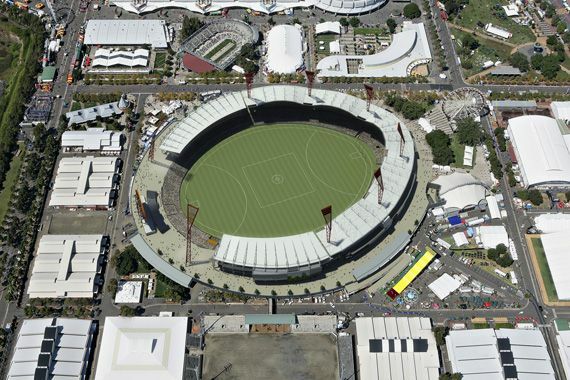 HSM was engaged prepare the security master plan for the Sydney Showground at Homebush during the period from site conceptual design through to the site development completion. The process included extensive stakeholder engagement. The analysis and plan was broad, including security risks assessments (such as relating to armed robbery, gangs and crowded places), local and overseas research on comparable organisations and sites, crime prevention through environmental design (CPTED) input, security lighting input, security systems design and audit of the commissioned systems, and security risk management development at the strategic and operational levels. I have always found the HSM team very motivated to work through complex issues to achieve the best possible results, highly knowledgeable, in areas of security (including Crime Prevention through Environmental Design) and related risks, security (human and technical) systems and strategic management, and always professional. These attributes are not found in other security consultancies that generally focus on electronic methods without the environmental and social impacts fully understood. Their report included risk and threat assessments, strategies with budget estimates to improve security risk management, including various technologies and procedures, with a focus on integration, value and effectiveness… We considered the report to be most useful and the consultants to be knowledgeable, professional and co-operative. We have no hesitancy in recommending Harris Security Management. The detailed report was found to be useful and provided perspectives not considered by other companies and agencies in previous security surveys on the same sites. I engaged and assessed security consultants across Australia and consider Harris Security Management a consistently superior consultancy practice. HSM led by Geoff Harris, has a reputation for high integrity, being outcomes driven, strong lateral thinking, in-depth technical and risk management knowledge and an excellent understanding of organisational complexity. The professional expertise, documentation, assistance and courtesy provided by the HSM team has been consistently exceptional. Their independence from suppliers and contractors, their innovation and their drive to identify added value for us is appreciated. Harris……has undertaken a number of training courses within out offices to train employees on risk reduction……..Their courses were well accepted …… with high praise being offered by all staff and management that attended. Harris….assisted in the development of policies and the rationalisation of procedures to ensure compliance with state laws and regulations. Their regular updates on changes to legal responsibility in respect to security have been invaluable. They are a very professional organisation that has a depth of experience and expertise on security that would be difficult to match. They also have the ability to pass that experience on in usable and cost effective manner. © Copyright Harris Security Management Sydney 2019. All rights reserved. This website contains links to other websites. We are not responsible for the content or privacy practices of other websites.